Waltz through the woods with this graceful beauty designed by Jim Shore! When Aurora confides in her forest friends about her dream, a handsome stranger overhears her song. 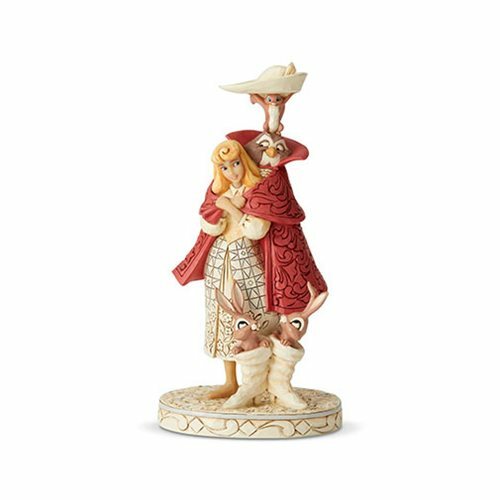 Relive her fateful encounter with this mesmerizing Disney Traditions Sleeping Beauty Aurora White Woodland Playful Pantomime Statue by Jim Shore. Made of stone resin this statue is a must have for fans of Walt Disney's classic film Sleeping Beauty. Measures about 10-inches tall x 5 1/2-inches long x 4 1/2-inches wide.